Nil Nil, 0-0, bore draw doesn't cunjure up the image of a particularly interesting match does it. The difference between gambling and matched betting is that you don't care so much about the entertainment and the excitement of a game, you're in it to win money. Nil nil is certainly the dullest score in football, but it's also one of the best score lines for some simple matched betting profits. The bore draw refund or bore draw insurance is an If Bet. If a game finishes nil nil, then losing bets on specific markets (normally correct score, first goal scorer etc) will be refunded. As with all If Bets, your best chance of profiting is to back and lay an event covered by the refund at the closest possible odds. You will want to lose as little as possible in this initial bet (taking exchange commission etc in to account), and of course an arb is the holy grail as you're essentially being paid to have a crack at the refund! 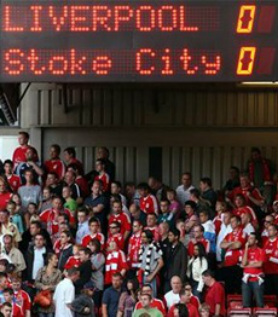 Check back at the end of the match and see if it finished nil nil. If it did, you'll have won your correct score or first goal scorer lay at Betfair, but also received a bore draw refund on your bet at the bookmaker (William Hill is a good one for this offer). That's profit. Repeat. Repeat for every match of a World Cup programme, repeat for Premier League matches, keep going and you will hit some of these. On average 11% of football matches finish nil nil. It is the second most common result in football. What that means is that although nothing is guaranteed, you should average a hit rate of 1/10 on this type of If Bets. If you're qualifying bet odds are close enough to cover that spread then you're looking at a decent, and regular, income stream. As with all If Bets, it's not about luck, it's about playing the percentages. 0-0 does happen in football, and with matched betting you could make it the most profitable result there is. A little knowledge is also useful here, specifically which teams or fixtures look a bit nil nil, but the reality is if you can get a close back and lay match, and you don't need the bankroll elsewhere, you should be going for these. After all, you might not think it'll end nil nil, but every once in a while Manchester Utd can't buy a goal, and Brazil grind out a result. For a full list of offers and If Bets daily you'll need to find someone to find them for you, worth dropping in on The Gambling Times for this as they have a list of daily bookmaker offers. 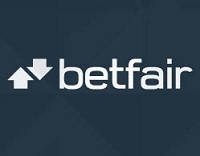 Click the banners below to set up accounts with the sites that offer nil nil matched betting refunds, and of course the all important BetFair account to let you lay the bets off and make some money! Note some of these sites are only running the bore draw insurance for the World Cup. Other bookmakers, like William Hill and Bet365, have bore draw insurance on every game. BetBright normally only run their 0-0 moneyback offer for Champions League games, but in the group stages that still leaves plenty of potential profit from your backs and lays. There's also a risk free bet for new accounts so this is one bookmaker you'll definitely stick with. William Hill bore draw insurance is pretty much the best in the business. It's offered on nearly every game (check before placing a bet, which is a great general rule of thumb!) which means even if you can't see specific offers for football matches, William Hill will still be giving you some value betting opportunities. Bet365 Have nil nil refunds on every match, so you should be able to find a decent match to back and lay and make some money. BetFair The best place to lay your bets off, which is vital if you're going to make some money from nil nil results. If you're looking for an alternative you can sign up with Smarkets. You'll get very similar odds (they pretty much mirror what's happening on BetFair, but an extra sign up bonus is not to be sniffed at! And here are some of the sites running bore draw refunds for the World Cup specifically. Hopefully they'll continue when it's finished as well, but that might depend on how many hit! Basically, the World Cup is giving us even more chances to win money from nil nil matched betting results!